The SS.11 was a French wire-guided anti-armour missile, developed from the SS.10 (MGM-21) missile. It was used by the U.S. Army as a helicopter-launched anti-tank weapon. Development of an advanced version of the Nord-5203 (SS.10) with improved range and effectiveness began in 1953 as Model 5210. Like its predecessor, it was a wire-guided spin-stabilized missile, but had a larger rocket motor and warhead. Because this made the Nord-5210 significantly heavier than the 5203, it was no longer suitable for infantry use, but was intended for launch from vehicles, ships and later helicopters. In 1956 the missile was first fielded by the French Army under the designation of SS.11 (SS = sol-sol = surface-to-surface). The SS.11 could use a variety of warheads of the basic French Type 140, including the 140AC hollow-charge anti-tank (effective against 60 cm (24 in) of armour), the 140AP02 penetrating blast-fragmentation, the 140AP59 anti-personnel blast-fragmentation, and the 140CCN anti-ship warheads. U.S. Army interest in the SS.11 began in September 1958 after the cancellation of the SSM-A-23 Dart anti-tank missile, and in February 1959 the purchase of SS.11 missiles for evaluation as air-launched anti-tank missiles was approved. Although the air-launched versions of the SS.11 were designated AS.11 (AS = air-sol = air-to-surface) by the French, the U.S. Army apparently continued to use the SS.11 nomenclature. The initial evaluation missiles were known as SS.11A1. In 1961, the SS.11 was approved for purchase as a light air-launched anti-armour weapon for use by UH-1B Iroquois ("Huey") helicopters. The missile, not only imported but also license-built in the USA by General Electric, was the improved SS.11B1 variant, which incorporated some solid-state electronics. 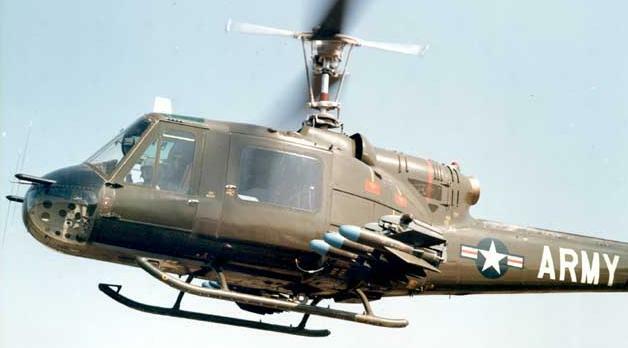 The complete installation of six SS.11B1 missiles on a UH-1 helicopter was known as the M22 armament subsystem. In 1966, the M22 armament subsystem was used in combat for the first time in Vietnam. By that time, the XAGM-22B and XATM-22B missiles had been redesignated as AGM-22B and ATM-22B, respectively. However, the AGM-22 was not a very popular weapon. 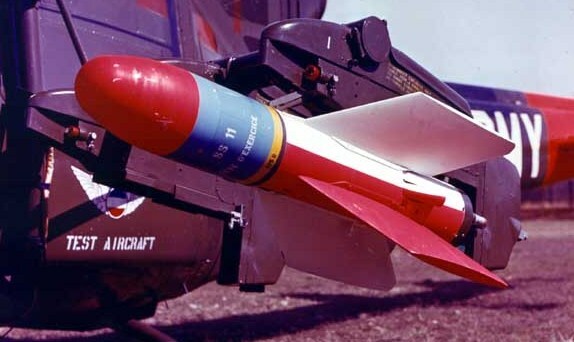 The missile operator in the helicopter had to visually track the AGM-22B by using a flare on the missile's tail, and had to manually guide it to the target with a small control stick. The guidance commands were transmittesd by a wire, which was spooled out by the missile. For this system to work satisfactorily, it needed skilled operators and an undisturbed environment, the latter almost an impossibility in a combat situation. Therefore, the overall performance of the AGM-22B in Vietnam was very poor. Although it was again deployed in combat in 1967 and 1972, the missile was quickly phased out afterwards, and was no longer in the Army's inventory by 1976. Despite its shortcomings, the SS.11 was still a very attractive cheap missile for third-world countries, and production at Aérospatiale ceased only in the early 1980s, after more than 180000 rounds had been built.